This is known as Weeping Ghost Gum and when fully mature are at around 25 feet tall although has been known to grow taller. 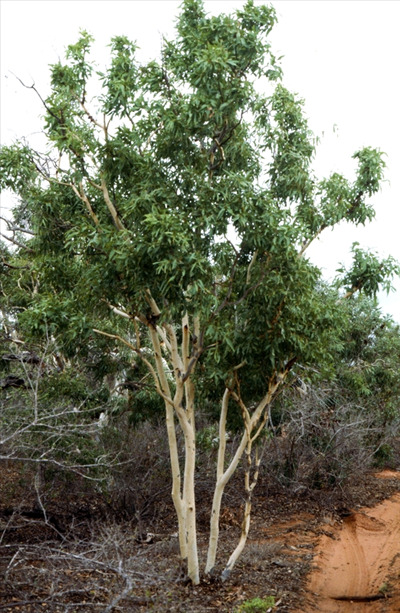 They are a mallee, meaning they branch from the base of the lignotuber. It is very hardy and frost and drought tolerant. A beautiful euc for any garden.